Here's the entire back (and front) catalogue. 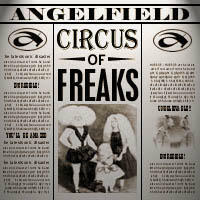 The first studio recording from Angelfield. 'Exhibit #1', 'All I Know', 'Newton' and 'Dead Maids'. 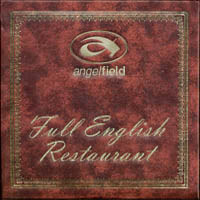 Recorded at Silvermere Sound in July & August 2000. 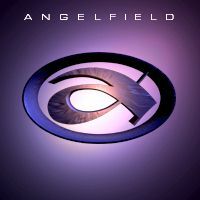 Definitive tracks from previous and current Angelfield line-ups, including seminal tracks by The Mysterons, X-Bein, Kabaal AND MANY MORE!!!! A musical adventure inspired by some of the classiest roadside restaurants in the South East. A grim reminder of darker times, often so grotesque you'll feel compelled to listen. 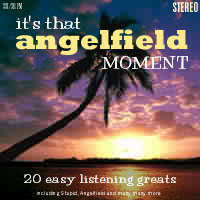 All your favourite Angelfield tunes,but drizzled in Creme de Menthe. Includes a banging house mix of the rare Angelfield track 'Elliptical' and a remix of 'Florida Light & Power'. 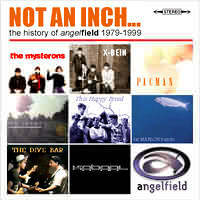 Album formerly available at MP3.com.